NetHack is an old fantasy top-down perspective rpg game released in 1987. 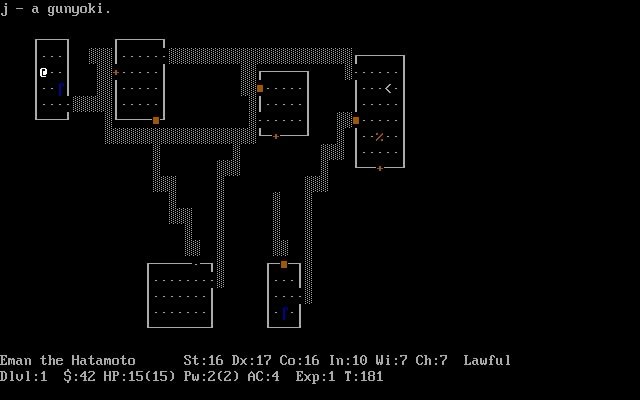 NetHack is currently freeware and runs on DOS. It's available for download. Nethack is awesome, but super hard because without a guide or a wiki it takes ages to figure out everything. At low levels it is easy to die because of the low HP, but at higher level you have plenty HP to resolve a situation. Most causes of death comes from special monster attacks and the the lack of proper knowledge, aka YASD or yet another stupid death. 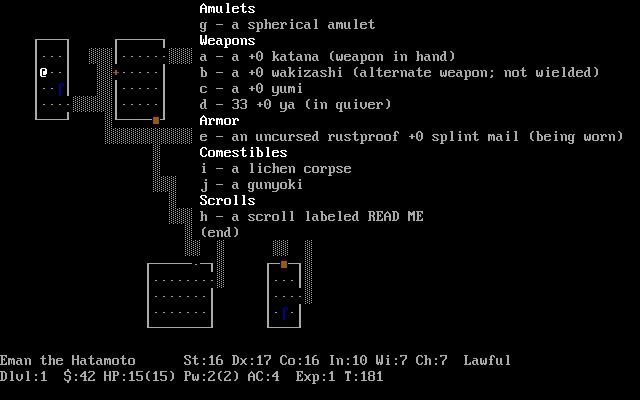 Nethack is a super popular classic among roguelikes, but as someone who's player a lot of roguelikes, personally I find it to be fairly flawed. You will never, ever beat this game...or even progress very far without consulting a guide. The game is completely dependant on gimmicks that you just have to know about in order to get anywhere. If you try to play it as an RPg where you progress and get strong, you will fail. It can't be played that way. In fact, monsters scale to your level, so making yourself "stronger" quickly results in being completely overwhelmed by monsters you can't possibly beat. 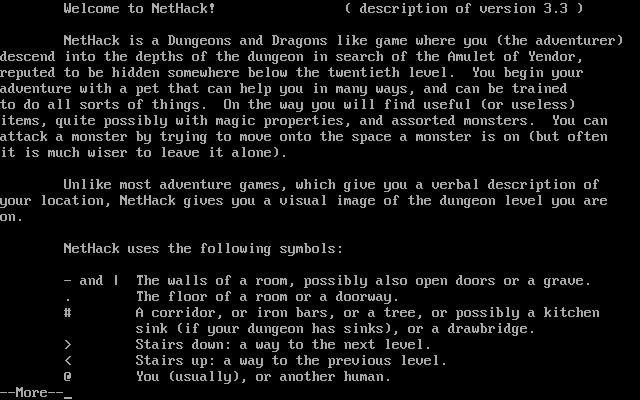 If you want to spend hours reading through complicated guides tellng you exactly what to do and what not to do, Nethack is your game. If you want a more typical progression roguelike experience, try Moria, ToME2, Angband, etc. instead. 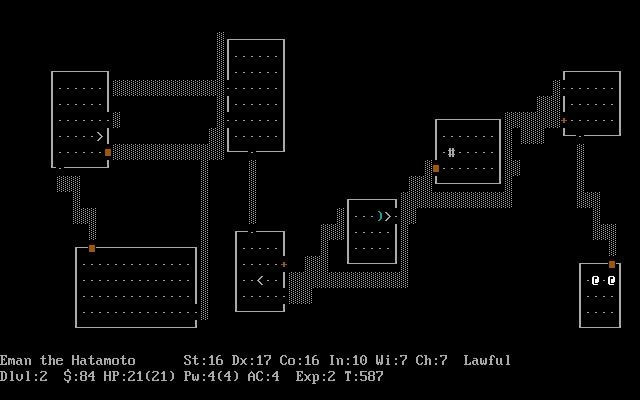 Tell others what you think about NetHack: did you play it? Did you like it or hate it? 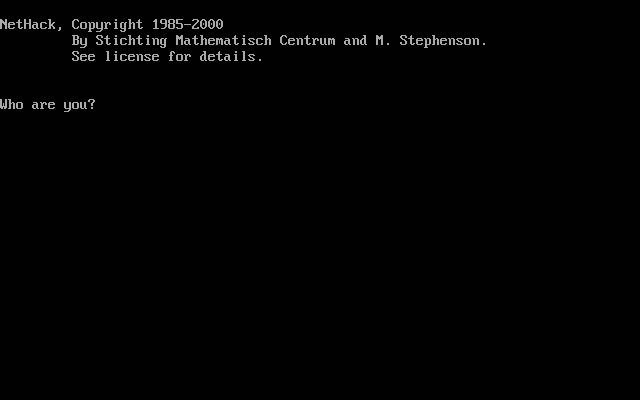 If you have problems running NetHack, please read the F.A.Q. first. Your e-mail will NEVER be used for spam.